Scott Eagan is the literary agent for Greyhaus Literary Agency. 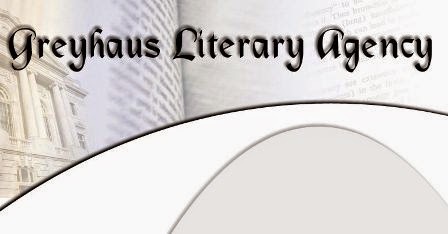 Greyhaus Literary Agency focuses exclusively on the traditional romance and women's fiction genres. Scott believes through increased education as well as communication between publishing professionals and authors, these two genres can continue to be a strong force in the publishing world. "Hashtag MSWL" This is that famous publishing hashtag in social media that editors and agents love to throw out there very now and then stating their ManuScript Wish List. So what does this really mean? A lot of authors really misinterpret what we are really saying when we list all of the genres and sub-genres following that #MSWL. These are stories that we would really love to see. Either we have an editor who is looking for a project of this nature, or we are seeing this as a hole in our line up. In some cases, this is just a type of story that would be really cool to see. We are not hoping you are going to start writing this project. We are hoping you already have this project and it is ready to go. You have just been waiting for a place to send it. You have to remember that you have written the story, that idea and need will be gone like the wind. As you know, the publishing world is constantly shifting and what is hot today may not be hot tomorrow. I will also say that sometimes we post stories like this because we simply are "thinking out loud." Are we really interested in seeing that story and marketing it? Maybe, but not necessarily. It could just be wishful thinking. As you see this projects, think about what you are working on. If you have something that fits that model, you might just want to jump on that opportunity. Who knows, your orphan project may have just found a home. Always good to read your advice. I agree that a writer should look for someone looking for what they've already written, rather than writing to hopefully fill a request that may not be a good fit. Yes Scott I agree while heartedly and that is exactly what I'm going to do thanks! Scott is the voice behind the Greyhaus Literary Agency. His work focuses exclusively traditional romance and women's fiction. Outside of this he is an English instructor, stay at home dad and writer.